Spacious one bedroom condo in the heart of SONO! Walk to train, dining, movie theater and shopping. 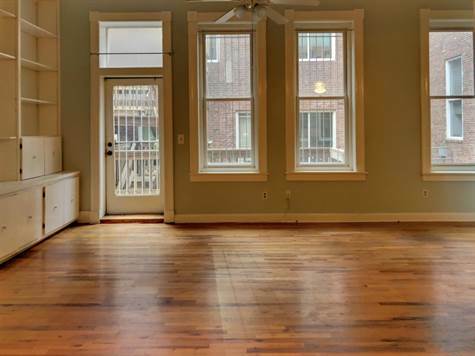 Hardwood floors, high ceilings and large windows. Open concept kitchen/dining/living. Floor to ceiling built-ins in living space. Washer/dryer in unit. Great for either owner or investor.